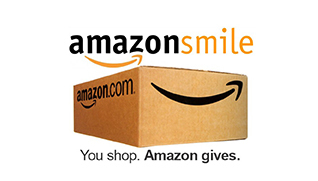 The Amazon online retailing website has a special program called “Smile,” through which qualifying purchases on Amazon result in donations being made by Amazon to recognized charities, in the amount of .5% of the purchase price. Our congregation is registered with Amazon as such a charity. And so, if and when you do any shopping on the Amazon website, you may be able to help our congregation financially by becoming a participant in their “Smile” program. Begin by logging into Amazon through this special URL: https://smile.amazon.com. Then, designate Redeemer Lutheran Church, Scottsdale, AZ, as your chosen charity. (You need to do this only once.) A dedicated link to locate our church within Amazon’s listing of recognized charities is: https://smile.amazon.com/ch/86-0804217. After that, whenever you go onto the Amazon website, just make sure that you log in through the special “Smile” URL (https://smile.amazon.com) rather than through the ordinary URL (https://www.amazon.com), before making your purchases, and your qualifying purchases will automatically result in a donation being made to Redeemer. We are not advocating that you shop through Amazon rather than through some other online or neighborhood retailer. But if you shop through Amazon anyway, you might as well do it in a way that helps your church!